One of the most anticipated AAA games of the year won't actually release this year, its creators announced today. 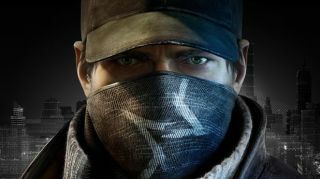 Ubisoft revealed in a blog post that it's delayed Watch Dogs, slated for the PS4, Xbox One, Wii U and other current consoles, until spring 2014. The French game maker said it struggled with the decision to the delay the Aiden Pearce-led title, but ultimately decided it couldn't compromise on quality. "As we got closer to release, as all the pieces of the puzzle were falling into place in our last push before completion, it became clear to us that we needed to take the extra time to polish and fine tune each detail so we can deliver a truly memorable and exceptional experience," the blog read. Those who've already pre-ordered Microsoft and Sony's next-gen consoles as part of a bundle that includes Watch Dogs may be curious what will happen to their order, but so far there's no answer. "If you have pre-ordered a Watch Dogs bundle in North America please contact your retailer for your options," a spokesperson said in a statement. The Xbox One is slated to launch on November 22 and the PS4's release date is a staggered November 15 for the US and November 29 in Europe. Unfortunately, both will be less one launch title. Xbox One vs PS4 - fight!